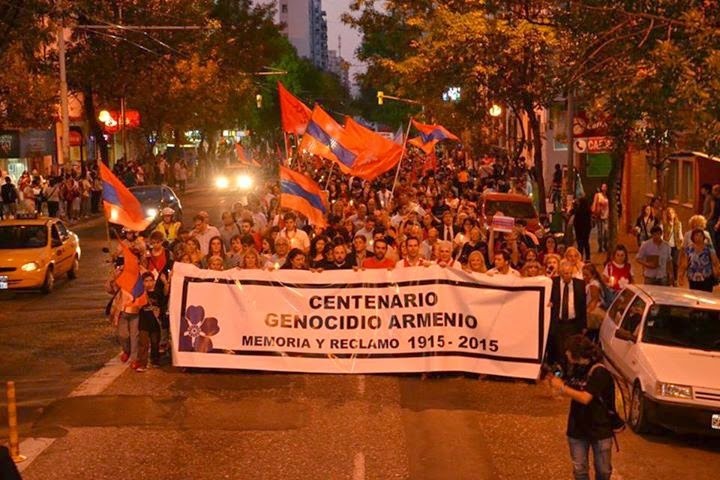 On Friday April 24 over 10,000 people marched in the center of the city of Cordoba, Argentina, for the Armenian Genocide Centennial. 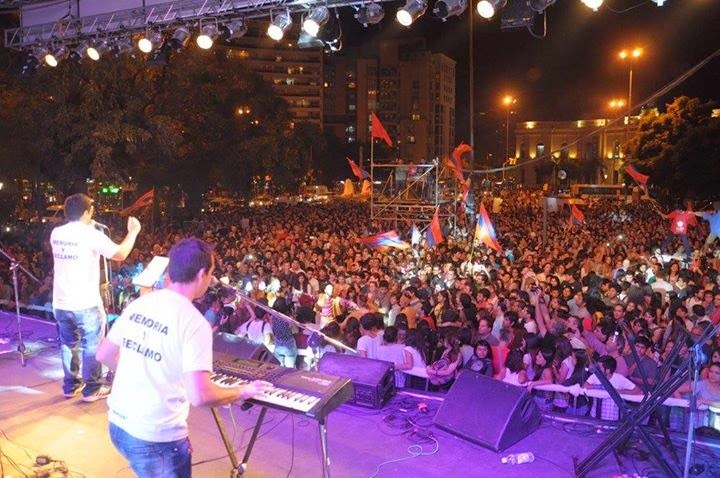 The rally ended with a "Concert for Peace" with the presentation of the renowned band Bersuit Vergarabat. 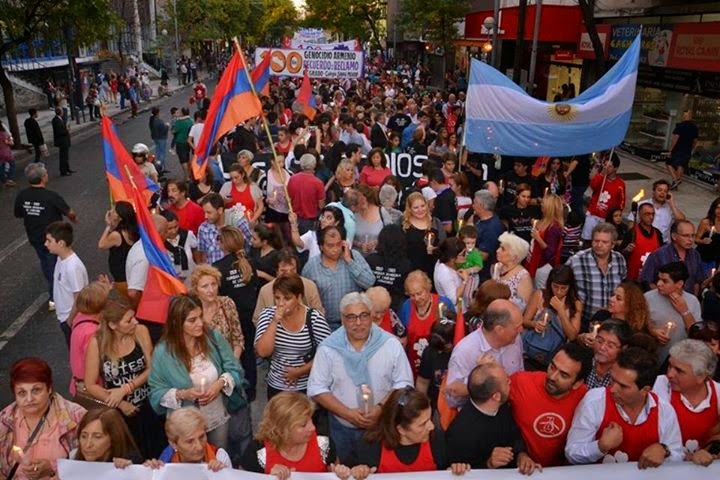 The march was attended by the Deputy Mayor of the City of Córdoba, government officials, politicians and journalists. 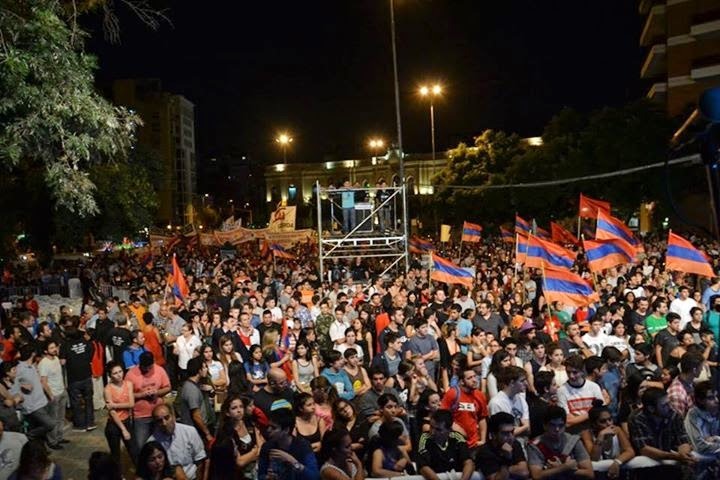 "We feel the company of all the people of Cordoba," said Eduardo Torossian, President of the Armenian Community of Cordoba. "All political youth is represented here today," he added. 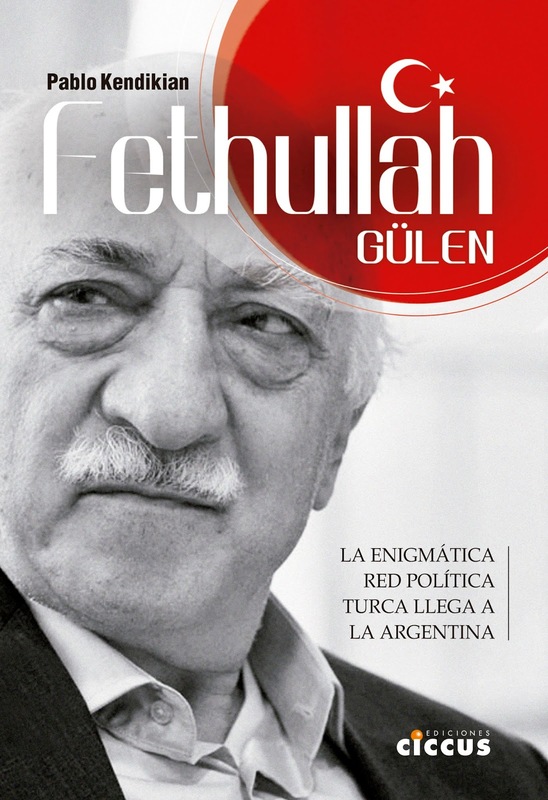 Ruben Avakian, one of the organizers of the march, said that "it is a day of reflection, a day of action for tolerance, a day of awareness to the whole society and the States to assume the commitment to prevent so that this does not happen again, as well as to commit themselves to the struggle for human rights and condemn the crimes against humanity." 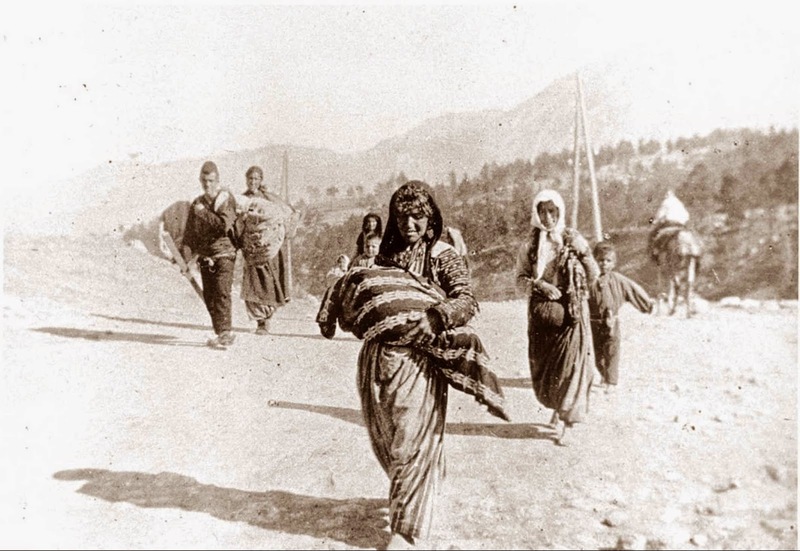 In addition, Avakian remarked that "the courage of Pope Francis to set a position for us is invaluable, calling the Armenian Genocide as the 'first genocide of the twentieth century' while opening the Vatican archives as evidence of what truly happened." 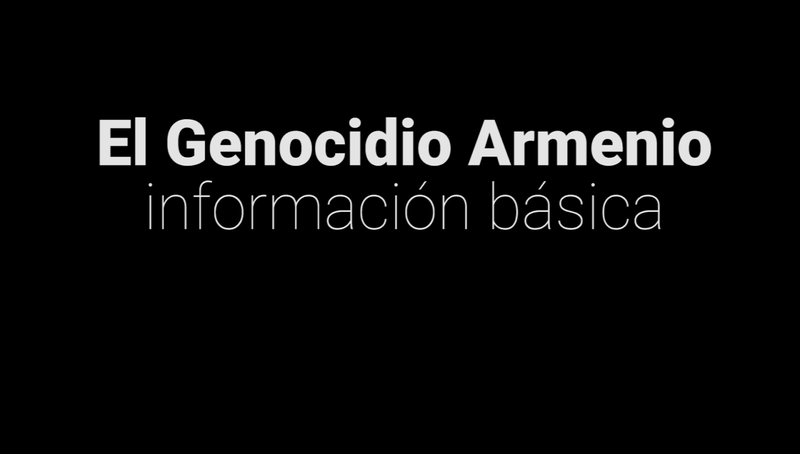 The march for the Armenian Genocide Centennial in Buenos Aires will be held tomorrow, and it is expected to be the most massive one in South America.